This policy is in effect as of February 1, 2018. Each game scheduled at ISSC may be rescheduled one time without consequence if the request to remove and/or add a game is made by the following schedule. All reschedule requests must be made via the specifieid league online Reschedule Request Form below by the cancelling team (Open/Rec+, OPL, & OPC reschedule requests need to be made by the home team). 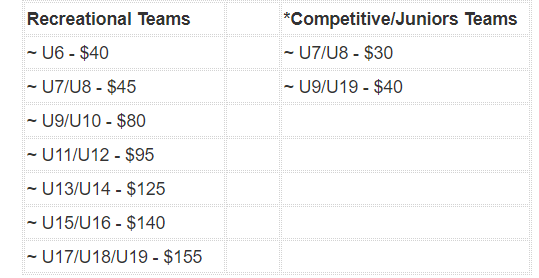 *Competitive/Junior’s will pay the fees above, plus the referees at the field. All BASC team reschedule requests MUST be submitted via the online Reschedule Request Form. Any game that is requested to be rescheduled (remove and/or add a game) for which has been previously rescheduled shall require payment of a $25 Fee, payable by the team requesting the change, prior to the game being rescheduled again. Any team planning to register for an OSA sanctioned tournament should provide notice to the BASC Games Scheduler and request a reschedule immediately. 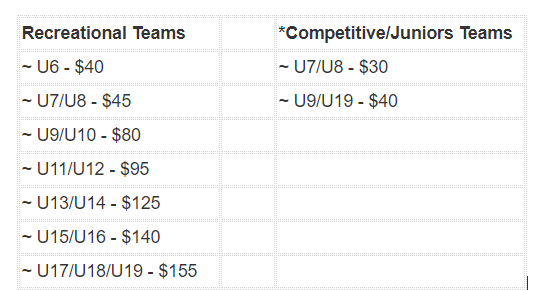 If acceptance to the tournament is within 5 days of the start of the game the team will not be subject to the reschedule fee. Once accepted, teams should notify the Games Scheduler of acceptance into tournament to finalize the reschedule. Failure to notify will result in a fine if it is made 5 days or less before scheduled game.